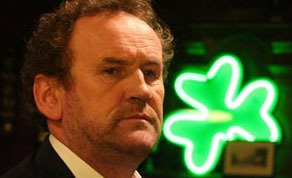 The 5th Annual Irish Film & Television Awards took place at Dublin’s Gaiety Theatre on Sunday 17th February 2008. In front of an audience of 850, host Ryan Tubridy guided proceedings to honour the finest Irish talent in film and television – with 'The Tudors', 'Kings' and 'Garage' taking home the most IFTA gold. ‘The Tudors’ secured its place in Irish television history by winning a record seven IFTAs – the most any single title has scooped in the Award’s five year history. The period drama, based upon the life of King Henry VIII, won the Best Drama Series/Soap award, while actors Jonathan Rhys Meyers, Maria Doyle Kennedy and Nick Dunning were honoured for their performances. Costume designer Joan Bergin, production designer Tom Conroy and Hair & Makeup team Jennifer Hegarty & Dee Corcoran were also named winners on the night. In the strongly contested feature film categories, ‘Kings’ and ‘Garage’ emerged as the top winners picking up five and four awards apiece. Irish language drama ‘Kings’ dominated the craft categories taking awards for Original Score, Sound and Editing amongst others, whilst ‘Garage’ picked up the Best Film, Best Director Film for Lenny Abrahamson, Best Script Film for Mark O’Halloran and the IFTA for Actor in a Lead Role Film for Pat Shortt. IFTA 2008 proved a momentous night for writer/director team Mark O’Halloran and Lenny Abrahamson as they proved their diversity across film and television. The pair were also awarded top Awards for Script Television and Director Television for their urban drama series ‘Prosperity’ Irish language series ‘The Running Mate’ scooped the Best Single Drama award. Young Irish actress Saoirse Ronan was another standout winner on the night scooping the Supporting Actress Film and the Irish Film Board Rising Star awards for her starring role in ‘Atonement’. In addition, Irish cinematographer Seamus McGarvey was honoured once again by his Irish peers for his work behind the camera, with the crowd wishing both Ronan and McGarvey the best of luck at the Oscars later this month. In the People’s Choice categories, the race for Sony Bravia TV Personality of the Year was won by RTE presenter Kathryn Thomas, while the Pantene Best International Actress Award went to Hilary Swank for ‘PS I Love You’. Florian Henckel von Donnersmarck‘s ‘The Lives of Others’ was named Best International Film and Daniel Day Lewis took the Best International Actor award for ‘There Will Be Blood’. In television categories, ‘The Podge and Rodge’ Show was a popular choice voted Best Entertainment while The Hospice and ‘Diarmuid’s Pony Kids ‘also received the nod in their respective categories. Others winners included ‘At Home with the Cleary’s’, which was named Best Single Documentary, and ‘Tall, Dark & Ó hAilpín’, which was awarded the gong for Sport. Other highlights included a standing ovation for filmmaker and actor Mel Gibson who received the Outstanding Contribution to World Cinema Award. International guests including Rene Russo, Bo Derek, John Corbett, Mary McDonnell, Kevin Dillon, Michael Fassbender and Dominic Purcell took to the red carpet along with a host of Irish style leaders including Victoria Smurfit, Ruth Bradley, Cecelia Ahern, Gráinne Seoige, Lorraine Keane and young starlets Jayne Wisener and Evanna Lynch.